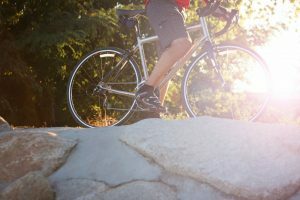 Most cycling newbies choose to bike in their sneakers or trainers. 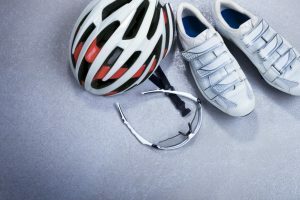 Often, the choice not to go for shoes specially made for cycling comes from a lack of knowledge on the subject. 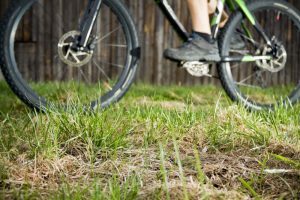 What are Mountain Bike Shoes? 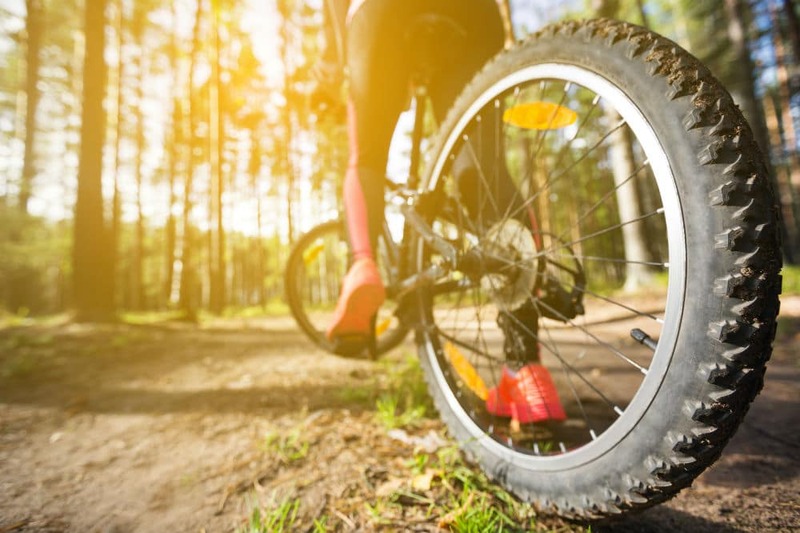 Mountain bike shoes are special shoes made for handling the rough and rugged terrain and physical strain of mountain biking. 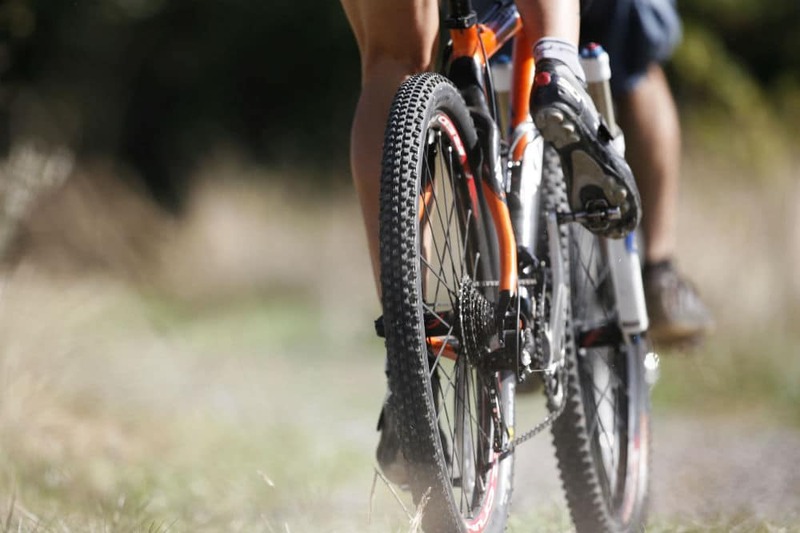 There are two types of mountain biking shoes—flat pedal shoes and clipless pedal shoes or cleated shoes. Flat pedal shoes are normally flat-soled so that the wearers have a large surface area to steady themselves onto the pedal. The sole is also stickier or has better grip than your run-of-the-mill sneaker. Clipless pedal or cleated shoes, on the other hand, have a cleat at the bottom which attaches to a clip on a specialized pedal. These are preferred by some people because the clip keeps their foot in place and at the proper position, which is meant to optimize their stability and the power transfer from their legs to the pedals. However, the downside to clipless pedals is the learning curve. 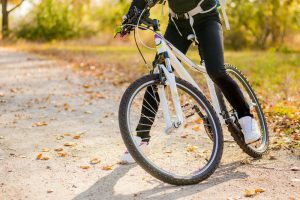 How Should Mountain Bike Shoes Fit? 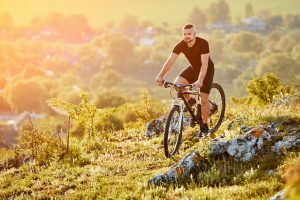 So now that you know what the types of mountain bike shoes are, you can begin your journey to start finding and eventually fitting your own pair. 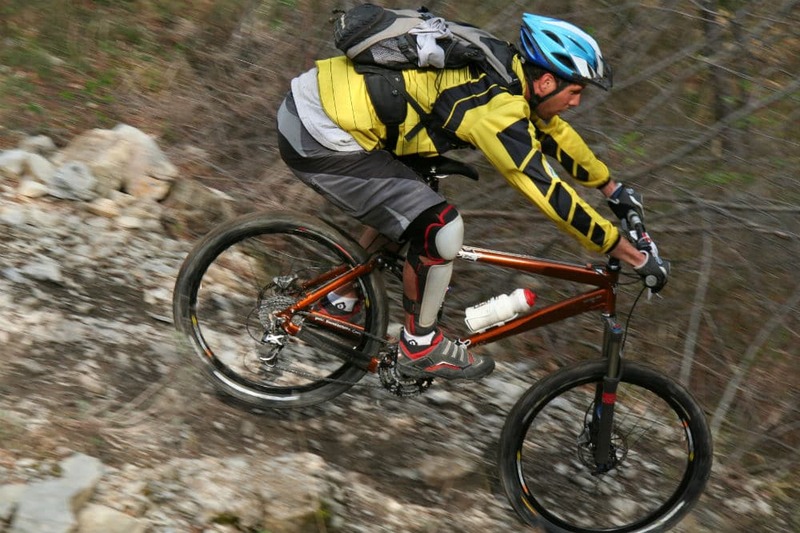 But how should mountain bike shoes fit? Don’t walk into a shop without any answers to this question. Otherwise, you might end up buying the wrong pair and wasting your money as a result. Mountain bike shoes should be snug but not too tight. Some shoes are expected to get a bit loose after some wear. 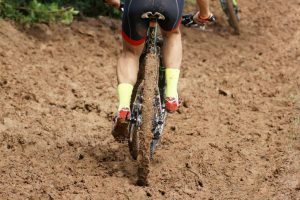 Don’t expect this from mountain bike shoes, as they are meant to be stiffer than most shoes by design. 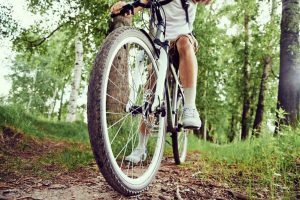 The snug fit of the mountain bike shoes should be felt in the heel most of all, but note that pressure on your instep should be even. Make sure that you have enough toe room to wiggle your toes. Remember that your foot will be moving forward and backward as you cycle, and your foot will be moving inside the shoe as well. The ball of your foot should sit on the widest part of the shoe. That is to give you a proper cleat positioning when you clip into your pedals. This is important in ensuring your stability on the bike, as well as your power transfer. Width is also important to consider when fitting your cycling shoes. 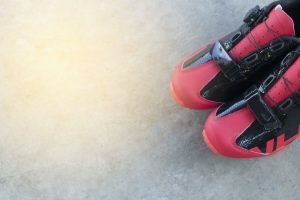 Some cycling shoes come in different widths as well as lengths, and if you have special considerations with width, you should consider finding such brands. 1. Don’t leave home without your cycling socks, especially if you require wearing orthotics. Your shoes should feel comfortable with everything you usually like to wear on your feet. 2. Buy your shoes at the end of the day. No, this isn’t a tip for avoiding crowds. It’s scientifically proven that your feet are slightly bigger at the end of the day than they are in the morning. It’s better to have a pair of shoes that is a bit lose than one that makes your feet ache from tightness. 3. Be patient. Don’t just go for the first one you see. Some brands that are more accommodating and carry more sizes, like half sizes and width variations, can be a little hard to find. Take your time to find the best shoes for you. 4. When fitting your shoes, make sure to try them out in different positions. Stand up, sit down, and take some steps. This helps you gauge how the shoes will feel like when you’re in action. If you’ve always been curious about cycling shoes but had a lot of questions, hopefully, this guide answered one of the biggest ones: How should mountain bike shoes fit exactly. Now that you know the answer, you can finally work on grabbing your first pair. Flat Pedals vs Clipless Pedals: Which One is Better?